If you’re a third-party developer using the Twitter API, the company is giving you advance warning today: Get ready to do it Twitter’s way. 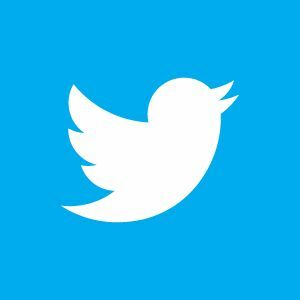 Today Twitter published a blog post outlining a new direction for the company, which will involve more restrictions on third-party use of the API and expanding functionality and usability of information within Twitter.com and approved clients. As Twitter grows, the desire to have users experience tweets the Twitter way grows as well. The announcement wasn’t incredibly specific, and the only clear impact of this move right now is a change at LinkedIn, where users will no longer be able to sync their accounts and have their Tweets displayed next to their professional profile on the LinkedIn site. Users will still be able to send updates to Twitter via LinkedIn, much as they send updates through apps like Instagram or Nike+ GPS to their feed, but if they want to read those tweets, they’ll have to visit Twitter. While the change only comes for LinkedIn right now, it’s easy to imagine that other third-party apps that use the Twitter API could be affected in the near future as well, apart from the embedded tweets and Twitter widgets the company provides. In the beginning of Twitter’s lifecycle, third-party apps and clients proliferated, and it was only in March of last year that the company clamped down on those companies and people who used them. The current move builds on this, demonstrating the company’s desire to more closely control how users experience the Twitter brand across different platforms and draw users away from clients and apps. At the same time, Twitter is working to improve its own channels, having recently added expanded tweets that partner with big-name brands for a better in-app experience. There’s a business angle to these changes, as Twitter expands from a scrappy startup into a global brand that could bring in as much as $1 billion in revenue by 2014. Many companies are struggling to succeed with mobile advertising, but as my colleague Mathew wrote, Twitter has seen more success in this area than others like Facebook(s fb). It seems natural that keeping Twitter users on Twitter would play an integral part in that growth.